Book your transfer with Giorgio's Limousine on our Private Airport Transfer service today! At Giorgio's Limousine our Private Airport Transfer service is available for transfers between Buffalo Airport, and 50 locations across United States. The Private Airport Transfer service aboard Giorgio's Limousine is an express on-demand door-to-door transfer service. Your vehicle will be travelling exclusively for you and your group, directly without stops or delays, to your destination. Your transfer time will be best suited to match your specific requirements and the driver will pick you up and drop you off whenever it suits you. Our Private Airport Transfer service is available 24 hours a day 7 days a week and can be booked up to 12 hours ahead of travel. At Giorgio's Limousine we offer fixed transfer fares starting from $86.66 USD total one-way and with enough seat capacity for up to 5 passengers. Your final fare with us includes luggage allowance for 1 carry-on bag and 1 check-in bag per passenger. Also included in all our fares are airport parking fees, any tolls along the route and your drivers waiting time. 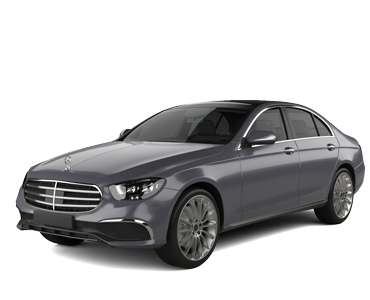 Giorgio's Limousine is a transport company based in United States and we have been a professional transport supplier on Jayride since September 2015. Buffalo's Premier Limousine and Transportation company serving Western New York, Buffalo and Niagara Falls. Whether you're looking for a limousine to chauffeur you around during an important event or you're looking for shuttle service to and from the airport, we've got you covered! You have chosen one of the largest and most diversified services in this region. With our vast fleet of corporate and VIP vehicles your sure to find exactly what you need with Giorgio's Limousine Service. So stop looking, you found the service you want right here! The best of the Buffalo Limousine Services. Giorgio's Limousine Service, in business since 1985 has provide transportation to such people as Bill Cosby, Tony Bennett, former Secretary of State Henry Kissinger, Local sports hero's such as Jim Kelly, Thurman Thomas, Pat Lafontaine as well as thousands Executives and local residents. But we didn't stop there! On top of our superior dedication to our clients, we have served on transportation committees and exclusively organized the VIPs transportation and shuttles for The World University games, Ryder Cup, NHL draft, plus many corporate events and functions.